Replacement Hyundai & Kia Keys cut by Vin Number Code. Need an extra Hyundai or Kia key? The Keyless Shop can cut and program Hyundai and Kia keys at all our retail locations. Have you lost all your Hyundai or Kia keys? Do not worry The Keyless Shop can cut most Hyundai and Kia car keys by the VIN number. As long as the VIN number has a key code on file then a key can be made. Kia and Hyundai car keys have evolved over the years. Starting from 1990 - 2000 most Kia and Hyundai car keys are pretty simple non laser keys without transponder chips. Most of these Kia and Hyundai keys can be duplicated at your local Keyless Shop location or cut by VIN number. In 2005 Hyundai and Kia transformed most of their car keys into laser cut keys which add security and are harder to duplicate. There are several types of Hyundai and Kia laser cut keys which use different key ways and key blanks. The Keyless Shop can cut and program Hyundai Laser key, whether you need it duplicated or have lost all keys and need it cut by VIN code. Please see photos below for Hyundai style laser keys. Hyundai and Kia Laser Keys duplicated or cut by VIN code at The Keyless Shop at Sears. In 2008 Hyundai and Kia then transformed most of their car keys into laser cut flip style keys with keyless entry or push to start smart keys. 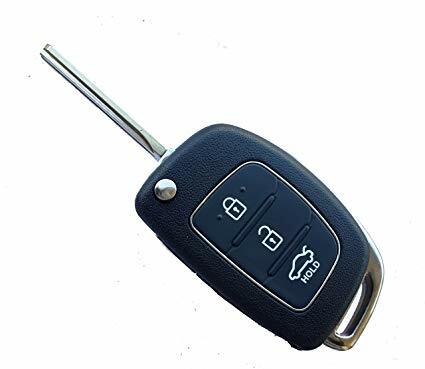 There are several types different types Hyundai and Kia laser cut keys flip keys and push to start keys that all have different FCC numbers and are specifically needed for each year make and model. The Keyless Shop can cut and program Hyundai Laser flip keys and smart keys, whether you need it duplicated or have lost all keys and need it cut by VIN code. Hyundai and Kia flip keys available at The Keyless Shop at Sears.